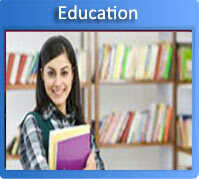 Students can get all colleges like medical, engineering, dental, law, management, dental and major universities in India. Also student can useful links in various imp filds like agriculture, food, law, passport office, government offices, insurance companies, transport and infrestructure and much more where you get helplinks or offices or colleges in India. Helpful Links - Below you will find a list of helpful links, lists and resources you may use as a list to aid in your risk. We are providing the various Indian Government Sites which is useful for students or people who are searching the Indian Government Sites. Following is the list of Indian Government Sites and useful links in India.